Stevie Ray Vaughan must have been special. At times, he seemed to embark in every blues cliché in the book, yet everything he did reeked with originality and style. In a world where so many guitarists strive to pack as many notes into a solo as possible, when “SRV” did it, he changed the landscape of blues guitar forever. Today marks the 20th anniversary of his untimely death when he went down in a horrifying helicopter crash. I remember saying this on the day he died: “He’ll never be replaced.” Sadly, it’s pretty much the way it’s been. We’ve heard Kenny Wayne Shepherd and Jonny Lang and “Monster” Mike Welch and Susan Tedeschi and so many others, but not a one a one of them has 1/100th the verve, style, and originality of Vaughan. The Texas-raised guitar master wasn’t handsome, or even particularly tasteful in his attire choices; the constant boots, soul patches, and feathered hats seemed like a desperate reach for attention; his talent was such that he didn’t need the flash. But when he picked up a guitar – as always, buoyed by his underrated, utterly soulful singing – he was pure magic. I first saw Vaughan in what I recall as 1981 in a small club called Radio City in Scotia, New York. After a half-assed new wave act finished its short set, Vaughan and the rigidly rocking Double Trouble hit the stage and blew the roof off the place – almost literally. I must state it was the loudest concert I’ve ever attended; I felt physically sick for about three days afterward, I was so jarred. I stuffed my ears with napkins, but I knew, even then, I was watching the best blues guitarist in the world. It can’t be defined; like B.B. King, Albert King, and few others, Vaughan took the best of the past and enveloped it in the best of the current. Lots of licks, sure, but every one was musical, necessary, and real. That was Vaughan. When I found out that Vaughan’s brother, Jimmie Vaughan, was the guitarist of The Fabulous Thunderbirds, I went out and picked up every T-Birds album and began to love them every bit as much as Stevie Ray. They were a vocally based blues and R&B combo, but they were every bit as great in a completely different way; Jimmie plays rhythm guitar as if he had invented the entire idea. In 1983, I walked onto a stage as a professional blues singer for the very first time; my biggest influences were Vaughan and The T-Birds. When Stevie Ray died, I looked for other guitarists to get into; I discovered the great Duke Robillard, who filled the void for me as a truly gifted blues star, yet very tasteful, and he could play swing music as well as anyone ever on this planet. As fate would have it, Robillard replaced Jimmie Vaughan when he left the T-Birds; the branches of the tree started to widen. A few years later, I got to work with Duke when he produced my Metropolitan Blue album in 1999. Some musicians dream of working with a Beatle; as for me, a blues addict, I got to work with a T-Bird. I still consider the album the greatest thing I’ve ever done. All considered, I’ve had a great life and a wonderful music career, but I’m not the story here, other than my reverence for all things Vaughan. I can’t imagine how different the blues world would have been had Stevie Ray Vaughan not perished so young. The blues would certainly be more popular than it is today; he was that powerful and influential. And I have no doubt that Vaughan would have been changing, modifying, and honing his sound through the years. Like Jimi Hendrix, Robillard and the great jazz players of our time, Stevie was a perfectionist, and you could hear it on every recording he made. For now, my advice is to get to the store and pick up Jimmie Vaughan’s great new album. I’ll never let the Vaughan brothers go; they are still part of my musical dreams and hopes. Through it all, neither man ever seemed to realize how truly great they were, and still are. 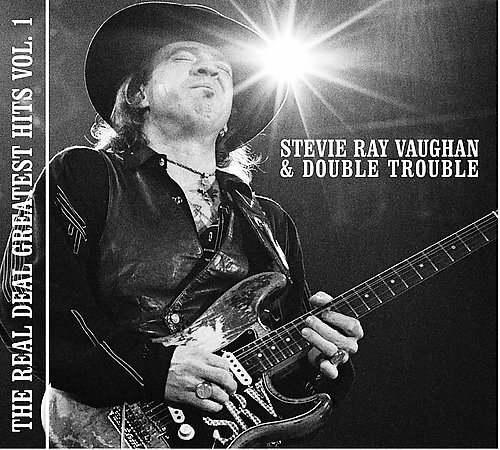 And as I write these words, I’m missing Stevie Ray Vaughan every bit as much as when I first heard the bad news. Some wounds never fully heal. Robert Smith’s professional music moniker is Robert Charels; the blues singer’s albums – Metropolitan Blue, Three Leg Dogs & Old Skool Cats, and Deception In Your Eyes – are available everywhere.